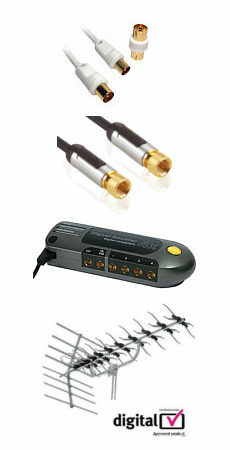 The KVM CPU Switch Kit allows users access to 2 or 4 IBM compatible computers from one PS2 keyboard, PS2 mouse and VGA SVGA monitor. Switching between computers is easy as pressing the push button or entering hot-key commands from your keyboard. There is no interface card or software to install and it is independent of the computer operating system. The CPU Switch Kit consumes negligible power and is designed to run reliably without an external power adapter with all cables at the rear, the complete setup takes insignificant desktop space. Ready to run right out the box, these kits come with everything you need – switch and complete cable sets, just hook them up and go. By allowing one console to manage all your computers, the KVM Switch Kits eliminate the expense for extra consoles, the space needed for extra peripherals and time spent accessing different computers. 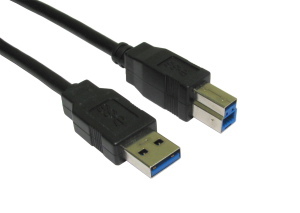 2m USB Cable type A to A, can be used with USB 2.0 devices or older USB 1.1 devices. USB type A male to USB type A male. Moulded connectors. Colour beige. Length 2 metre. Firewire 6 pin male to 6 pin male data cable commonly referred to as IEEE1394, used for connecting devices such as camcorders to your computer. The KVM Console Extender, allows users to control two computers up to 150 Mtrs away using a CAT5 RJ45 Patch lead. It supports a maximum resolution of 1280 x 1024, and allows two consoles to control two computers. Switching between consoles is as easy as pressing a push button or entering hot-key commands from either keyboard. There is no interface card or software to install and it is independent of the computer operating system.